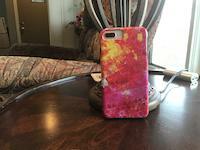 Origins iphone x case by Jane Simpson. Protect your iPhone X with an impact-resistant, slim-profile, hard-shell case. The image is printed directly onto the case and wrapped around the edges for a beautiful presentation. Simply snap the case onto your iPhone X for instant protection and direct access to all of the phone's features! There are no comments for Origins. Click here to post the first comment. I have attempted here to show common origins between man and dolphin. http://www.saatchi-gallery.co.uk/showdown/index.php?showpic=162034 If you like the picture you can pick up the link and vote in the Saatchi Showdown.